Girl Code: An Anthology is 2 years old today!!! I absolutely loved this Anthology and love these amazing authors. If you haven’t read Girl Code yet, why not click your way over to Amazon and pick it up for just $3.99 on Kindle. You will not be disappointed! You get four short stories, all connected together but written by a different author, in this one amazing book. DC Stone: Website, Facebook, Twitter. You will find four absolutely amazing stories in this anthology. What I loved most was how they all weaved together making this book/anthology one big story revolving around four amazing, strong, loving, and loyal friends. From the very first story, you are introduced to these amazing women and see them from each other’s eyes. The stories are filled with struggles, passion, love and of course a big dose of happily ever after. In Hope we meet Joey a photographer and Talon an auto mechanic. They meet, become fast friends and share their similar backgrounds with each other. Talon wants more than friendship and he’s hoping Joey will give it to him but a stalker gets in the way causing Talon to jump into protector mode. It was a joy to watch their friendship turn into something more. The “steam” factor for these two was way above the boiling point. In Live we meet Juls a recovering drug addict and Reef an ex-drunk/Recluse of the Boise Woods. Their story touched me the most and Juls ended up being my favorite female character. They each struggled with the beginning phase of their life but are at the point where they want to “Live.” Together they formed an unbreakable bond that will take them into their future and together they will help each other fight the demons of their past. In Faith we meet Selena a Criminal Investigator with the United States Air Force and Cullen a D.C. Detective. A bit of a mystery brings them together in Pearl, Ohio. Cullen hasn’t been able to stop thinking about the girl he met at the pond long ago who helped him deal with a tragedy in his life but can he forgive her for disappearing after that amazing night? Selena’s mom walked out on her and her General father when she was eight years old. If it wasn’t for meeting her “sisters” Juls, Joey, Laydi, she may not have survived her pre-teen years. Mystery, intrigue, love, and forgiveness bring these characters back to the pond and just maybe a brighter future. In Persistence we meet Laydi a private investigator and Andrew her Boss/CEO of Off the Record Private Investigations. Let me first say, I fell completely in love with Andrew from the moment I met him and he turned out to be my favorite male character. An urgent call from her father brings Laydi and her new husband Andrew home to Pearl, Ohio. As Laydi is dealing with her father, the investigation she’s working on starts to heat up while her new husband tries to keep her from throwing him out of her life. This story has everything I love. A dominant male trying his hardest to protect his strong, independent and brilliant woman while an investigative case blows up around them. These two are so cute. The chemistry between them is a joy to read and their “steam” factor hits a few boiling points especially in the Jet. It’s not often you read an anthology and truly love every story in it but I really did. 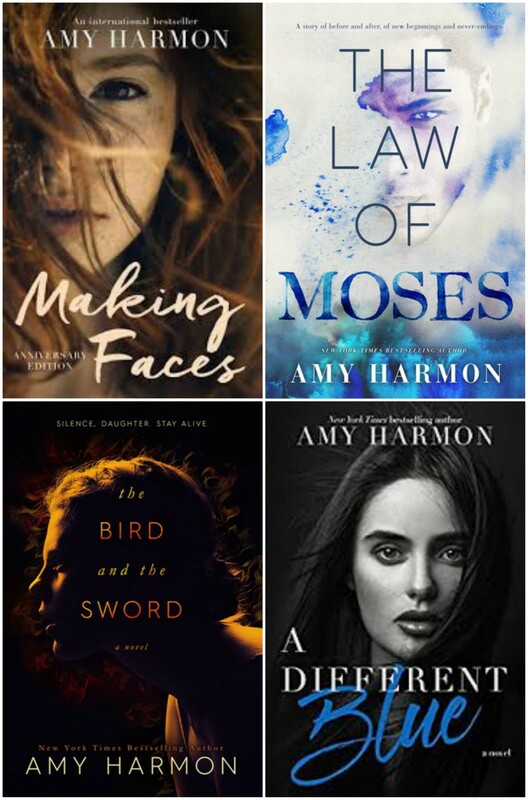 These four authors are amazing women who I’m sure will continue to give us well written, heart warming, action packed, and steamy love stories for years to come. Thank you, Jessica, Lea, Cait and DC. Selena Bodine escaped into the United States Air Force to leave behind a painful past and the one man who she refused to let herself, love. Years later, an urgent call from her father brings her back to Pearl, Ohio and face to face with the man she still loves. But will the secret that Cullen is investigating her threaten their second chance?